I love history, having taught 8th grade for 36 years in the Las Lomitas School District near Stanford University, it is an essential part of me. My farmhouse was built in 1860 with a second story added in 1867. An important historic edifice, the house served as both a stagecoach stop and the Yorkville Hotel. After purchasing the property in 2000 and adding my olive grove, I have never been busier. That suits me as I enjoy tinkering in my workshop. In my spare time, I make furniture and sell my oil at the Boonville farmer’s market just north of Yorkville. My property is part an original 9,000 acre historic ranch in the valley. 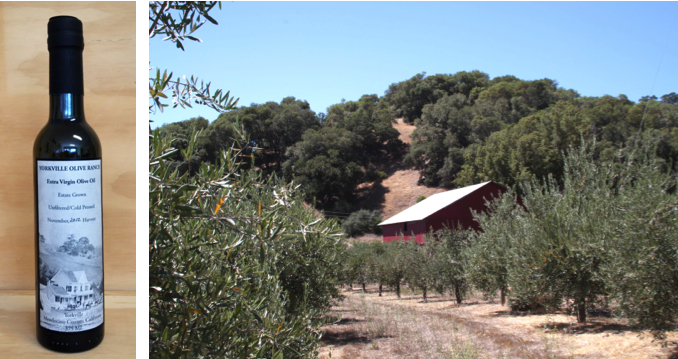 Yorkville Olive Ranch is 85 acres with 1,500 trees. The trees, Tuscan varieties, grow in a few small parcels in over the property. About 50% of the varieties are Frantoio, the balance are Leccino, Coratina, Pendolino and Maurino. Summers are long and hot, tempered by early morning fogs that creep in from the Pacific. I wake up early to a beautiful day, not too cold or too hot. 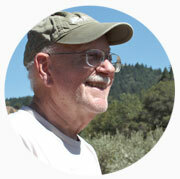 I spend the day with my farmhand Martin working the property. At the end of a long day, I sit in my favorite chair and enjoy the view. The Boonville Farmer’s Market every Saturday. It is also available in various winery tasting rooms, stores and restaurants throughout Philo, Boonville, and Yorkville. Orders can be made directly by email at rhysolive@yahoo.com.